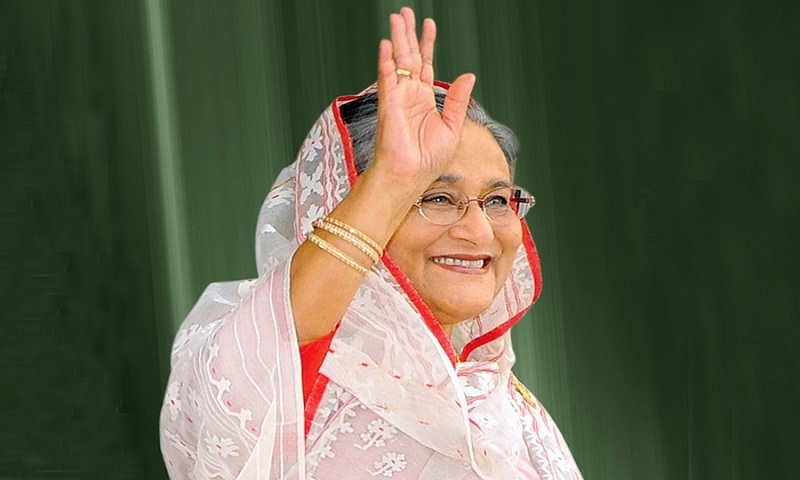 Awami League President and Prime Minister Sheikh Hasina left Tungipara for Dhaka on Thursday. She started her journey around 9:04 am by road from Tungirpara. Before starting her journey, Sheikh Hasina recited Quran and offered munajat at the grave of Father of the Nation Bangabandhu Sheikh Mujibur Rahman. On her way back to Dhaka, Sheikh Hasina will address seven rallies at Bhanga circle in Faridpur, Faridpur circle, Rajbari road circle, Manikganj bus stand, Rabeya Medical College and Hospital premises in Dhamrai and Savar bus stand. Earlier on Wednesday, the Awami League President launched her party’s election campaign through seeking vote for ‘Boat’ in the upcoming national election while addressing a public rally at Sheikh Lutfar Rahman Government Degree College ground at Kotalipara in Gopalganj.